Coworking Unconference Asia: the Future of Work is Here! After a successful first year that saw 135 participants from 30 countries, ​Coworking Unconference Asia (CUAsia)​ is back in Bali for its second round. Organised by ​Hubud: Ubud Coworking & Community Space​, Bali’s first coworking space, Coworking Unconference Asia will cover a range of daily events and sessions from February 24 - ­ 28, that are focused in exploring how how we can live, work and learn differently in the new, collaborative economy. Steve Munroe​, the co­founder of Hubud, first decided to launch Coworking Unconference Asia in January 2015 after experiencing first­hand the rise of coworking movement around the globe ­ including in Asia. Bali itself has surprisingly taken a lead role in coworking advocacy throughout Indonesia and Southeast Asia, with 10 coworking spaces and more on the way in the island. Coworking spaces have been dubbed as the “laboratory for the future of work”, with the rise of location­ independent businesses and the freelance economy. The workplace of the future is quickly changing, and those that are the most successful will not only find new creative ways to work but also meaningful work in environments that allow easy collaboration with like­minded people. This year’s Coworking Unconference Asia is designed exactly to provide an opportunity for movers and shakers of the coworking movement in Asia, to share their collective experiences, and explore the ways in which we can live, work and learn differently in the new collaborative economy, and help design the future of work. The Coworking Academy has been designed as a full day workshop offering attendees learning and solutions for those who are looking to open a space or are newly opened but feel stuck. Mentors of the Coworking Academy include coworking experts such as Alex Hillman of Indy Hall Philadelphia, Grace Sai of the Hub Singapore, and Melina Chan from inspire9 Australia. Different from other “Coworking 101” programs, attendees will receive tangible tools and templates to support executing what they learn. Coworking Academy will be hosted at ​Hubud: Ubud Coworking & Community Space​ in Ubud, Bali. Coworking Indonesia is set to bring together coworking operators and enthusiasts to discuss and share ideas about coworking and the future of work in Indonesia. Organised in collaboration with ​Kumpul Coworking Space​, the goal for Coworking Indonesia this year’s event will mainly be to raise awareness about the benefits of coworking for freelancers, consultants and how it shapes the way we work and do business. This year’s Coworking Indonesia will be held entirely in English and hosted at Rumah Sanur creative hub in Sanur. Day One of CUAsia will include keynotes from some of the mentors and visionaries in the world of coworking and innovation spaces in Asia, panel discussions and debate sessions on the future of work. Day Two of CUAsia offers a traditional coworking unconference where attendees set the agenda and discussion, allowing better dialogue and interaction. It’s the ultimate interactive event. Attendees have the opportunity to better share and engage with each other, leading to more learning and greater value. Coworking Tour has been designed to bring participants of CUAsia to experience first­hand the coworking and innovation scene in Bali. As the coworking scene in Bali is growing, the coworking excursion will explore the how and why of what makes coworking in Bali great. 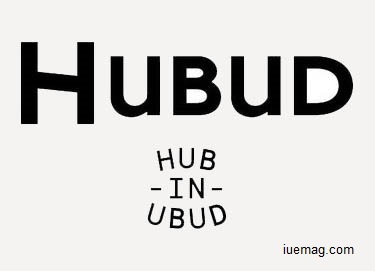 Hubud​ is the first coworking space in Bali, and home to a diverse community of local and visiting creatives, techies, entrepreneurs and businessfolks, changemakers, downshifters and truth­seekers. Called one of the world's top coworking spaces by ​CNBC​, Hubud is redefining the way we work, learn and connect with each other. Its community of over 250 entrepreneurs, freelancers and creatives from 65 countries are a glimpse into the future of work. Any facts, figures or references stated here are made by the author & don't reflect the endorsement of iU at all times unless otherwise drafted by official staff at iU. This article was first published here on 21st February 2016.